If you are planning record audios and voice in order to get them into your offline playlist, you will want the best audio voice recorder to help you finish the task. You definitely need the best audio recorder because none of us will compromise with the sound quality for our favourite voices. The best audio voice recorder would give you a complete recording without any dropouts from the supported online resources. You can thus listen to your favourite voice tracks offline as well, without streaming them everytime you want to listen to them. When choosing the best audio voice recorder, having a look at the features of the recorders is very important. This post will introduce the best audio voice recorder to all the music fans who want to record audio files with the best quality. iMusic is the best audio voice recorder available on the Internet, because it is loaded with a bunch of the most amazing features that helps users to get the audio files they need with no quality loss. The program helps users to get rid of the incompatibility of the recorded files as well, as it converts the recorded files to MP3 file type automatically. The following section will introduce the key features of the program and how to use it to record audio files on your computer. iMusic provides the user an access to 1000+ sites and over 10000+ popular playlists. 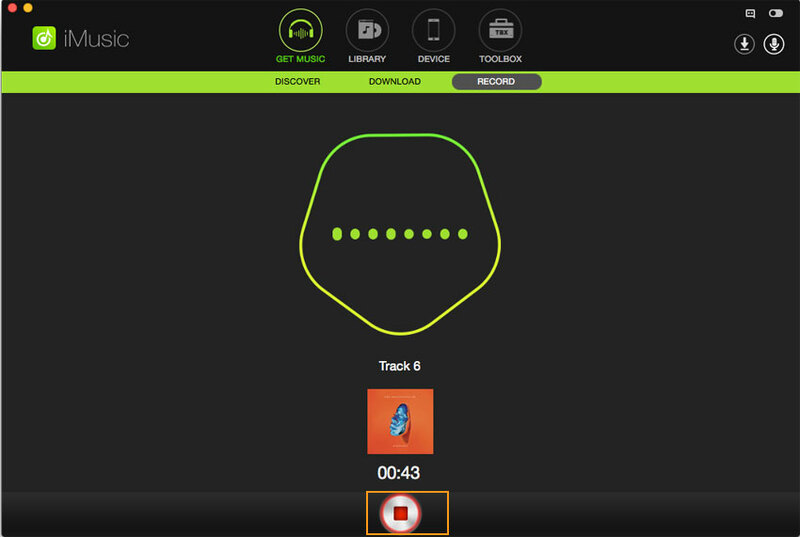 iMusic helps users to transfer recorded music to mobile devices with simple clicks. iMusic provides a feature of discovering music, which allows users to find the music files they want with ease. iMusic will provide high quality for the recording process, so that the users can get the recorded files with orginal audio quality. This software enables users to manually edit the music tags for the recorded files, so that their music library can keep organized. iMusic will save the recorded audio files to its music library, and the users don't have to worry about the data loss anymore. Step 1 Download and install iMusic on your computer, then start it. The program will show you the main interface of discovering music. Step 2 Choose the RECORD option at the top middle of the software window, and click the Record button at bottom. Now you can play the music files you want, and the program will record it. Note: Please note that you should click the Record button before playing music, so that the program can get the music info completely. Step 3 Click the Record button again to finish the recording process. 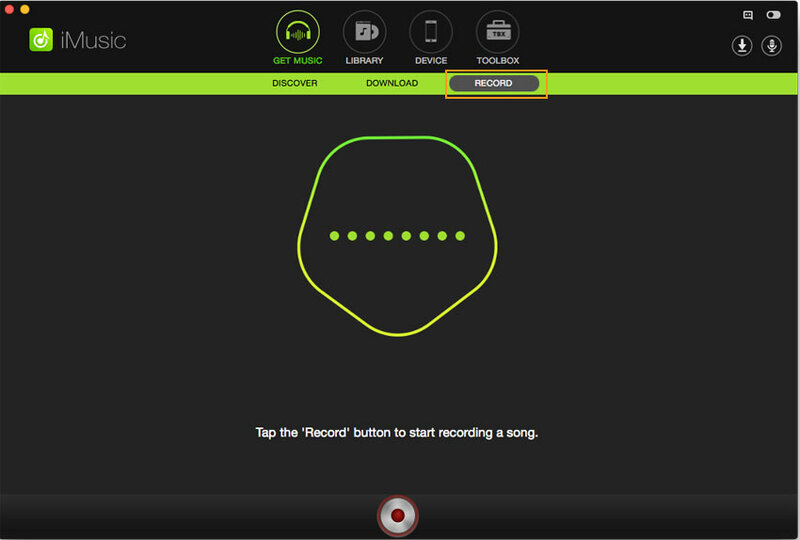 When the recording process finishes, you can click the microphone icon at the upper right corner to view the recorded music. With this best audio voice recorder, you are able to get any music you want without any effort. 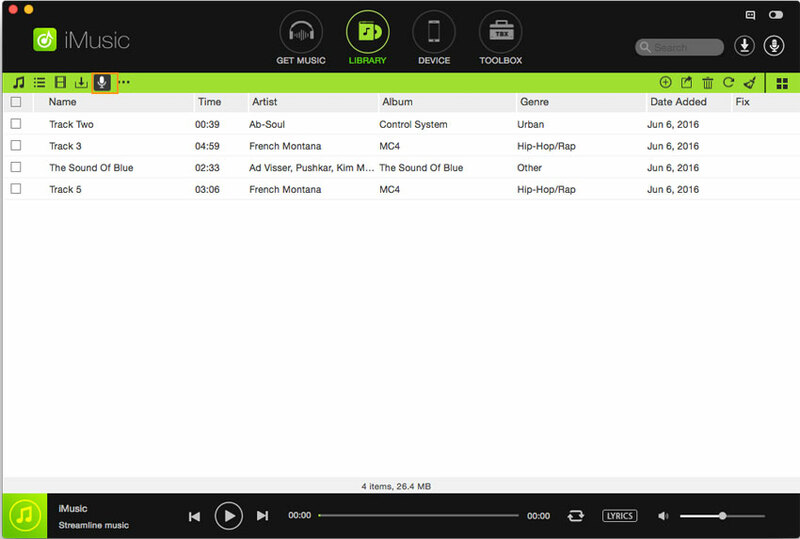 This program is an all-in-one solution for the music fans, and it will bring much convenience to the users' music life. Wondershare Streaming Audio Recorder is also regarded as one of the best audio voice recorder programs, mainly because it has a simplified user interface which helps users to record the audio files as long as the files are playing. The following section will introduce the key features of this streaming audio recorder, and how to use it to record audio files. 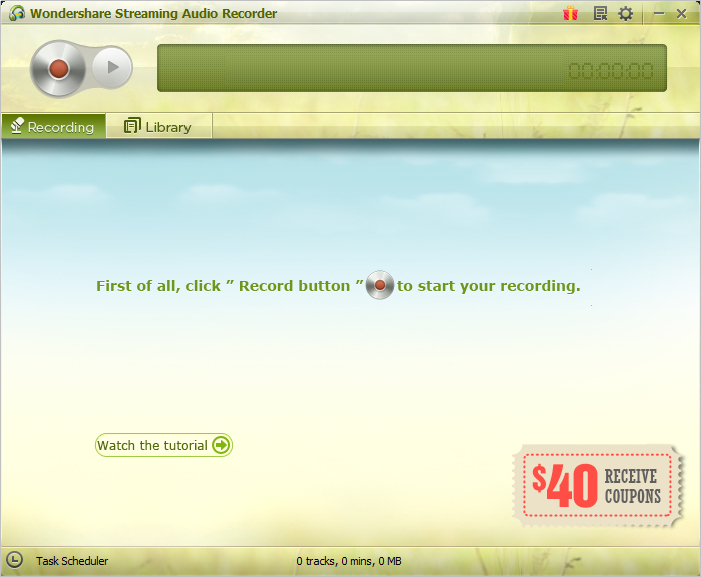 Wondershare Streaming Audio recorder supports streaming of all types of online audios as well as videos. The program provides a feature of blocking pop-up ads, which helps users to get rid of the annoying ads during the recording process. This software will save the recorded music files to its music library, so that the users can get access to the recorded files easily. There is a Make Ringtone feature of the software, and it enables users to make ringtones from the recorded music files. The recorded files can be copies to your local hard drive with ease. 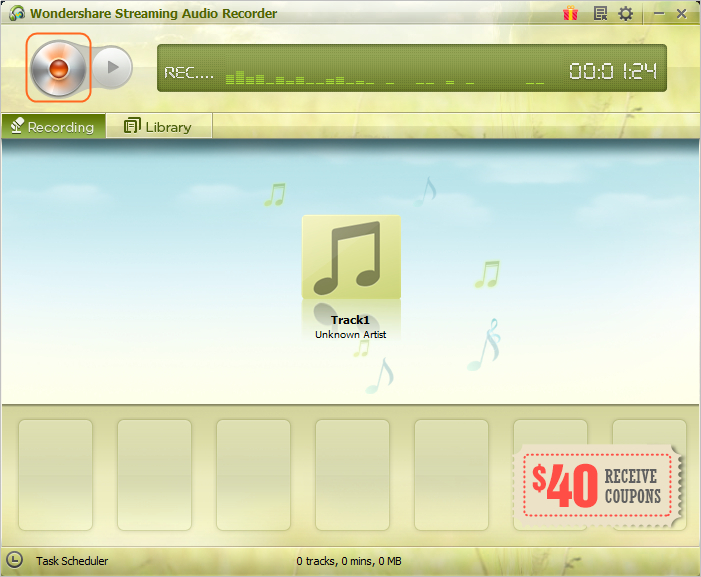 Wondershare Streaming Audio Recorder ensures that the users get the high quality of recorded music files. The user interface of Wondershare Streaming Audio Recorder is very friendly, so that the users can handle the program easily. Best way to Capture Music for you Money:For $19.00 this Simple, way too easy to use audio Recording Software is tops. I can record Streaming music from Spotify, Pandora or whatever music site I choose. The software will filter out commercials if you don't want to pay for a Subscription service. Spotify is 30 Bucks but Pandora has a great service for only $$3 bucks a month. Step 1 Download and start Wondershare Streaming Audio Recorder on your computer, then you'll see the recording window. Step 2 Click the Record button at the upper left corner, and the program will get ready for recording. Then you can play the music files you need, and the program will record whateve it hears. Please note that you should turn off all the other sounds playing on your computer during the recording process. Step 3 When the file finishes playing, you can click the Record button again to finish the recording process. 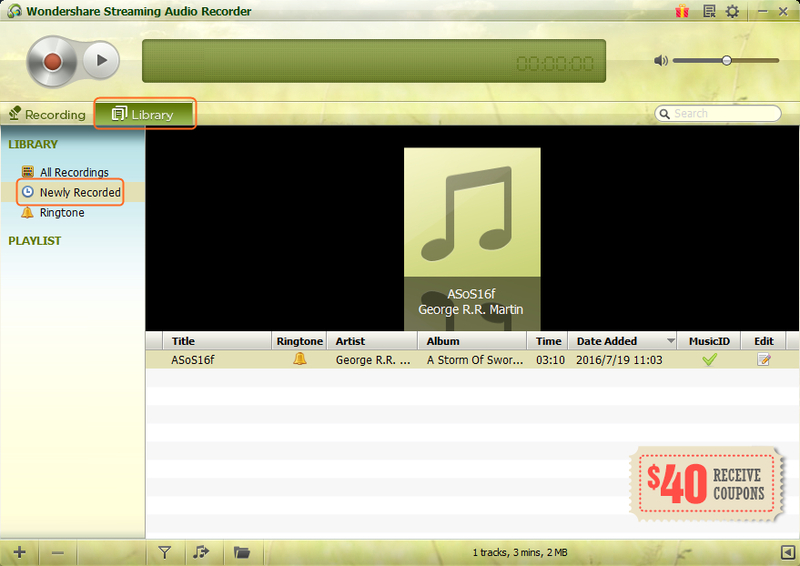 Then you should choose Library and select the Newly Recorded playlist to view the recorded music files. Besides the audio voice recorder programs for desktop users, there are all kinds of audio voice recorders online. When you search for the best audio voice recorder online, you can find tons of results. One of the best recorder is OnlineVoiceRecorder.com, and the following guide will show you how to use this best audio voice recorder online. Step 1 Go to the website, and you'll see several options at the top menu bar. Choose Voice Recorder and you'll see the recording window. Step 2 Click the Recorder button at the left side, and the recorder will start working. Then you can play the music files you need, and the program will record it. Step 3 Click the Record button again to finish the recording process. When the recording process is done, you will see a Save button at the right side. Step 4 Click the Save button, and the website will save the file. Then you'll see the Click to Save button. Click it and choose a target folder on your computer to save the recorded files. Conclusion: The mentioned three best audio voice recorder programs will help users to record the audio files they need with no efforts. However, after using the three programs, you can easily find out that iMusic is a better audio recorder than the other two solutions, as it makes the whole recording process easy to be done. If you are interested in this program, just free download it to have a try.